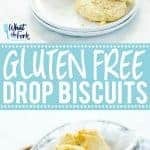 These gluten free drop biscuits are one of the main components of my gluten free strawberry shortcake. 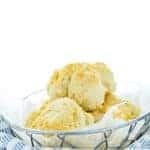 They’re almost identical to my regular recipe for gluten free biscuits but these contain a little bit more milk, making them ideal for dropping rather than using a biscuit or cookie cutter. 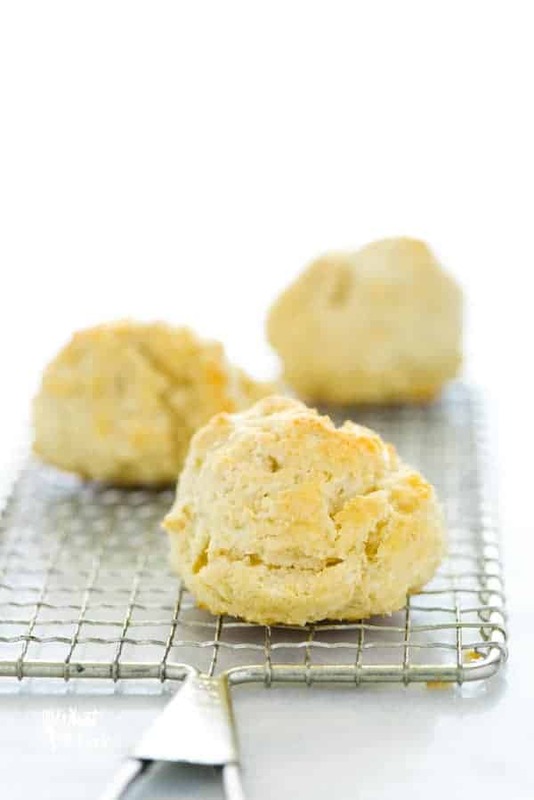 The drop biscuit has always been one of my favorite parts of the shortcake. When baked on a greased cookie sheet, the bottoms of the biscuits get nice and crispy and they just taste buttery and utterly amazing. Like that little alliteration there? 🙃But feel free to eat them as is, without turning them into dessert. They’re just as good! 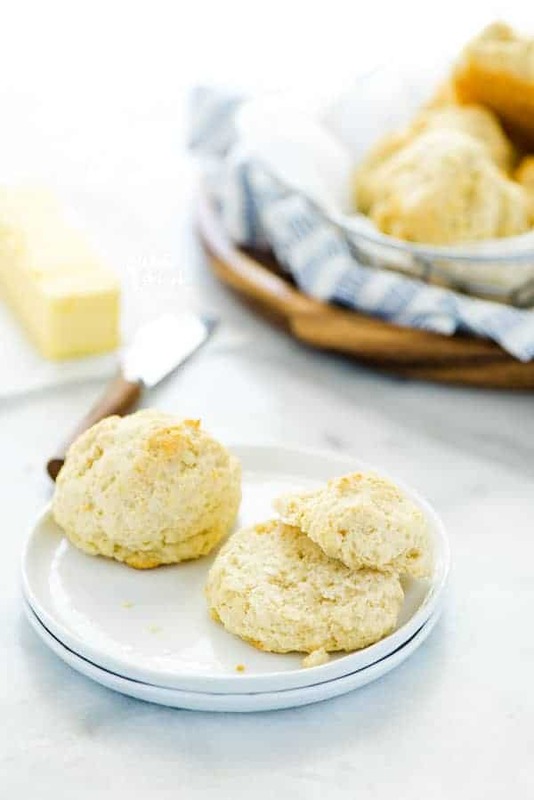 You could always use parchment paper or a silicone baking mat when baking these if you prefer, but you just won’t get that ideal crispy, crunchy, delicious biscuit bottom. 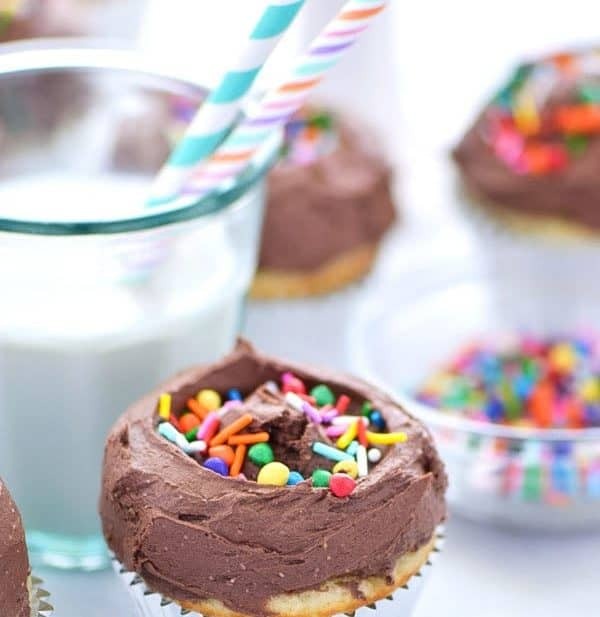 Before going gluten free, my mom would make these with regular all-purpose flour. We have been able to adapt them with to be gluten free using my brown rice flour blend. I find that blend works best with biscuits in any form. 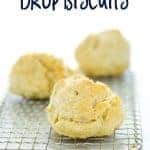 But if you’re looking for a good drop biscuit recipe and you don’t need gluten free and can bake with regular all purpose flour, you can use that here in place of the gluten free flour. Just be sure to omit the xanthan gum. 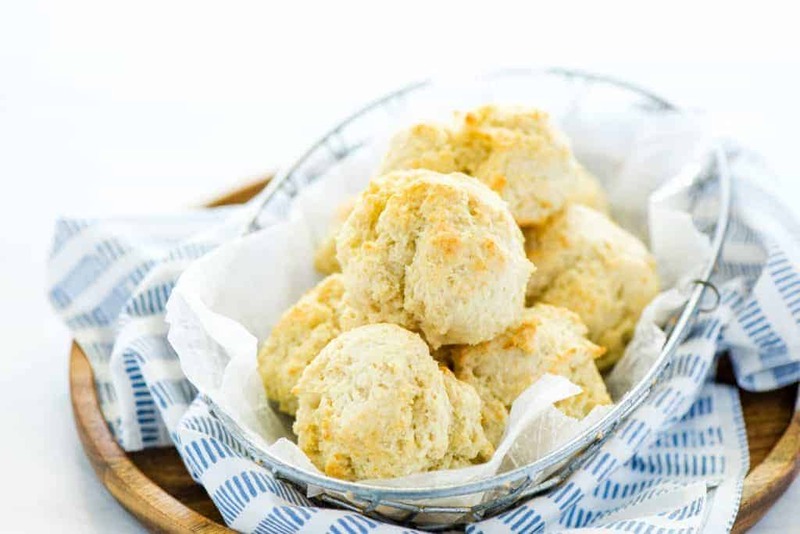 If you’re in the mood for biscuits for dinner but you don’t want to take the extra step to cut them out, try this gluten free drop biscuit recipe. 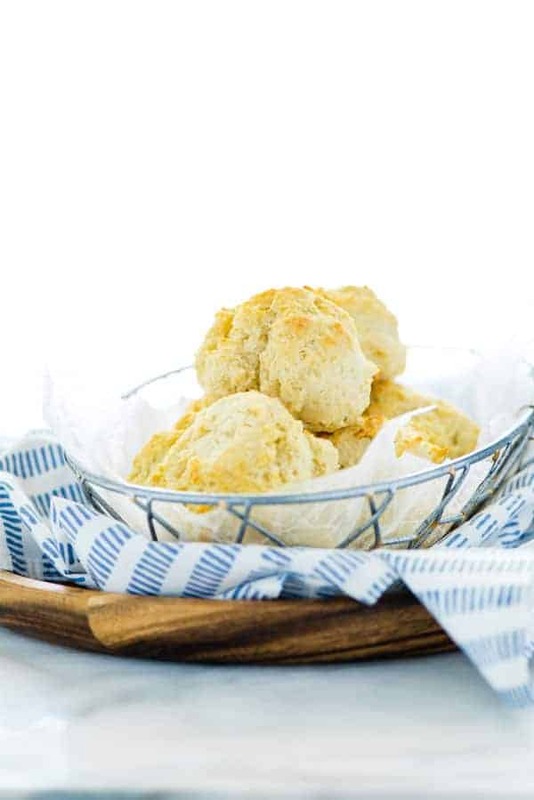 Dropping the biscuits is definitely a time saver without having to sacrifice taste. 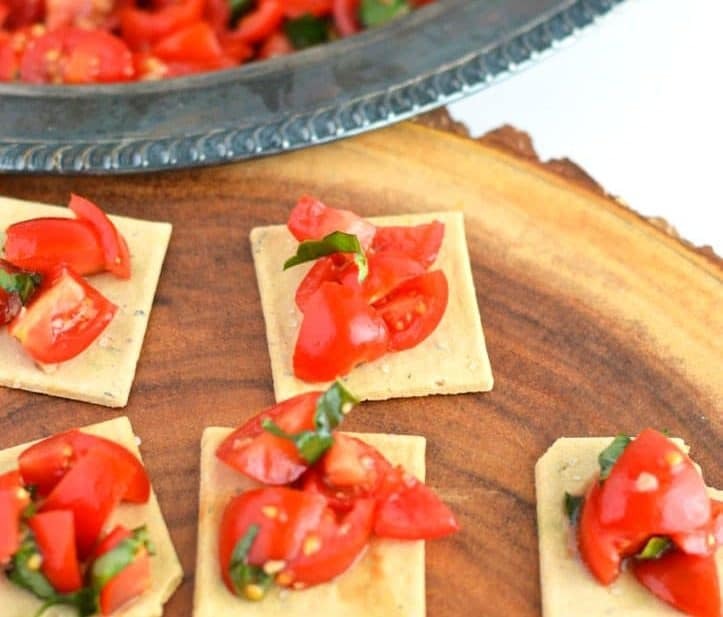 While I almost always serve my drop biscuits with some thing sweet, you could also make them savory. They might not be ideal for breakfast sandwiches but they’d be great for brunch with some gluten free sausage gravy! I’m going to be experimenting with some savory mix-ins too like garlic, herbs, and cheese to serve along some steak or seafood. 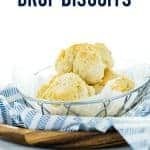 If you want to make your drop biscuit prep time even faster, make a batch of my Gluten Free Biscuit Mix ahead of time. The only adjustment you’ll need to make is using 1 cup of milk instead of ¾ cup of milk called for to make cut out biscuits. 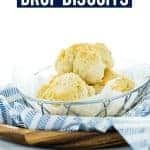 These gluten free drop biscuits are really good and really versatile. 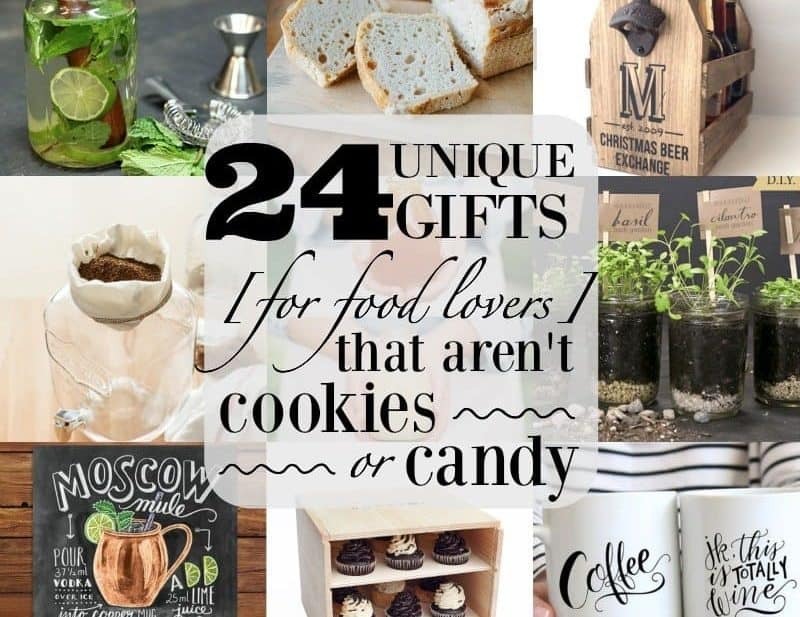 They’re exactly the kind of recipe you need in your recipe arsenal. Enjoy!